We’d love your help. 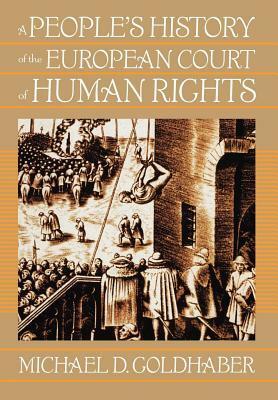 Let us know what’s wrong with this preview of A People's History of the European Court of Human Rights by Michael D. Goldhaber. Michael Goldhaber introduces American audiences to the judicial arm of the Council of Europe-a group distinct from the European Union, and much larger-whose mission is centered on interpreting the European Convention on Human Rights. In the battle for the world's conscience, Goldhaber shows how the court in Strasbourg may be pulling ahead. To ask other readers questions about A People's History of the European Court of Human Rights, please sign up.